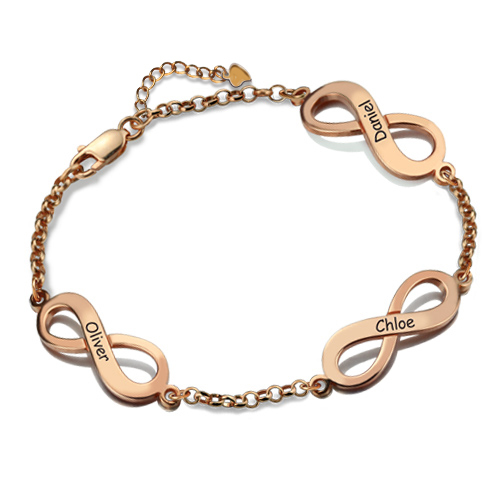 Our Triple Infinity Bracelet symbolizes eternity and continuance. Show your everlasting friendship or love for three special people in your life with an engraved pendant for each one.No matter for friends or families ,It is the best choice gift. 2. First letter of name or word is capitalized by default . 3. The chain length mentioned at our website include the pendant,also the extension chain in the picture. Click here to check the chain length guide.